Stop waiting for deadbeats to pay. Waiting for payment and chasing customers is a hassle. Time to train non-paying clients to pay on time. The strategies used to keep your past due below 1% are easy to learn but they are very specific. The sooner you implement methods that work, the faster you can stop chasing money. So where do you start? Step one, decide to act upon what you already know; things can be better. Step two, call and speak with us. The call is free and the information is priceless. We are accounts receivable consultants and cycle billing specialists. CJM Billing, We are Billing and Collections Experts. Christopher Mangan is the President of CJM Billing Solutions, Inc. and has over 25 years’ experience working with companies such as American Express and CitiBank. His expertise involves Accounts Receivable, Billing and Collections. Want greater revenue and a billing system that is effective? He will quickly implement plans for faster payments, less hassle, and greater profits. 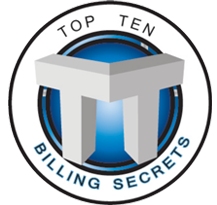 Christopher is also the author of the Top 10 Billing Secrets, a comprehensive eBook for better billing. Time to improve once and for all. Now is the time to correct the pattern of poor paying customers. Some clients are skilled when it comes to avoidance. You keep chasing them over and over and then chase them some more. Business owners have to stop allowing this. You are experts at selling your product or service; we are experts at keeping past due accounts below 1%. The training involved to perform at maximum efficiency is not hard to learn, but it is specific. Learn every fact about Revenue Cycle Billing and Collections. That’s what CJM Billing can do for you. If you don’t act, debtors will continue to take advantage of you. That is no way to run a business. You’re losing money! It’s time to break this series of nonpayers for good. Your approach will determines the outcome. Get paid quickly with less hassle. Finally, look at your past due accounts. Now reduce it by 80%. That is what CJM Billing will do for you. Take advantage of what we do today! Call me directly for a free consultation. (845)496-1001. Better-Easier-Faster CJM Billing Solutions, Inc. The Smart Choice! Time to change once and for all. When debtors string you along for money owed, it’s a reflection of the way they view paying you. It’s more of an insult and sign of disrespect rather than their ability to pay. What causes this and how can it be prevented? Make no mistake, these loafers take advantage of many businesses but you can stop them in yours. Some customers are so good at not paying their bill, they owe hundreds and sometimes thousands of dollars and you are forced to wait yet again for payment. They hold you over a barrel even when they do have the money. Most business owners don’t know where to turn. The only way to change this is to get help from people who have been dealing with debtors for years. Stop the insult of deadbeat customers and win the battle on every front. Why would any business owner allow this and how long are you going to tolerate it? The answer is strictly up to you. Getting help is a phone call away. The consultation is free and you can change the future of your company for good! You can do it right now. Why wait when the answers are available now? We have been solving this age old problem for over 25 years and we work tirelessly with many businesses to end the difficult cycle of non-paying clients. Your Accounts Receivable Process is so vital, yet too many companies never get maximum efficiency from this critical money making progression. I call this a progression because it entails the ability to instill a sense of urgency at every point in the cycle of customer contact. From initial client expectation and the wording in the actual bill to effective collection techniques when clients are past due. Debtors will take advantage of any reason to make you wait for payment. They would rather buy the new phone or spend their money on a nicer car rather than pay you. They look for every reason to avoid paying so you must not allow them any reason to gain a foothold. While they can continue their charade with other companies, you can learn how to stop them in yours. Problem is, most companies don’t really know how to stop it and they keep doing the same things expecting different results and it’s “business as usual”. You can make this area of your business better. Tired of chasing customers for payment? Some clients will intentionally string you along and make you wait. Stop deadbeats from taking advantage of you. Their apathy costs you time and money. Our experience has helped countless businesses train customers and face this challenge with great success. Acquire the methods that correct the pattern of bad paying customers. Our techniques are proven to gain faster payments and keep clients happy. They are easy to learn and guaranteed to increase revenue. Stop the struggle and ease the process because your process and approach will determine the outcome every time. In many cases, the lazy customer knows they have you over a barrel and they play cat and mouse with your income. That’s no way to run a business. It’s time to fully understand the game and play to win. 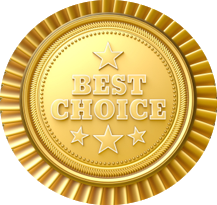 When it comes to getting paid, CJM is the best consulting firm and the most cost effective agency you will ever know. We are billing and collections professionals. Change the outcome and ease your billing process. Increase collections and enjoy greater revenue. CJM Billing Solutions, Inc. has over 25 years’ experience in Accounts receivable, Billing and Collections. Want greater revenue and a billing system that is effective? We quickly implement plans for faster payments, less hassle and greater profits. You don’t have to wait for your money and you don’t have to get frustrated. Change it once and for all. Christopher Mangan is the author of the Top 10 Billing Secrets a comprehensive guide to better billing. Virtually every non-paying customer can be corrected and brought into a habit of payment. Furthermore, you can play their game and win. Game on! Once you know your opponent you can implement strategies to overcome the obstacles that delay payment. Better yet, your billing process will instill a sense of urgency without insulting the client. Great strategies can stop professional debtors even when they try to adapt and continue their charade. There is always a way through their apathy and once you learn the tricks, you will see a real difference in your revenue. Obviously you’re in business to be successful, and while you may offer a great product or service, income is the number one motivation for business ownership. The fact remains that revenue is the only thing keeping you in business. If that’s true, why are the challenges that delay cash-flow not immediately addressed in a way that causes permanent long-term solutions? It comes down to trust. Yes, you read that correctly, trust. How can you trust anyone to do better with your business than you? Keep reading! Ask yourself this, “Am I an expert in billing and collections? If the answer is no, you’re missing an opportunity. Highly successful companies incorporate experienced consultants in their account receivable process because non-paying clients are so skilled at the art of avoiding payment. Other companies are complacent and wait for something to change. The truth is that getting an expert in this field takes very little time and is extremely beneficial so why wait? You can get free consultation from CJM Billing Solutions, Inc. What do you have to lose? A lot if you do nothing! 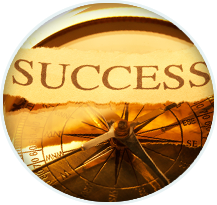 Effective methods and proven strategies increase your percentage of revenue. Debtors take advantage and why not? The money is in their pocket and the work of chasing them belongs to you. Why would anyone allow some customers to dictate when and how they will pay? The reasons are very real, such as, fear of losing the customer, avoiding confrontation, and the belief that waiting for money is the nature of your business. These fears are a smoke screen to reality and it’s those fears that have many business owners deceived into believing they can do nothing about it. You have the power to make getting paid easier and faster. Payment turn-around time is the key! As I have said before, we train debtors to pay on time and lead them into a habit of payment. Efficient methods will benefit you exponentially, so what are you waiting for and what might you be doing wrong? First, the idea that marketing plays a role in your billing process is not just an idea, but an effective tool to getting paid faster. If a client feels they can wait to pay you, they will. This is the reason your process must communicate and instill a sense of urgency. CJM Billing Solutions, Inc. is expert in billing marketing. Family owned and operated, we are consultants who specialize in effective customer service related techniques that are guaranteed to increase revenue. Second, it’s vital to invest time into your money making process to assure compete effectiveness. Performance in recurring billing and the collections process that is associated to getting paid are paramount. I have worked with so many companies whose billing was challenging for clients, time consuming for employees and ineffective at recovering the highest percentage of payments. In addition, their level of simple customer service was alarming. They were losing money by the day and they didn’t fully understand the extent of loss and could not change it. CJM Billing Solutions, Inc. will stop revenue loss. Now that all this has been said, what are you going to do? This brings us back to trust. CJM Billing Solutions, Inc. is a trusted billing consultant firm with the ability to perform. We are the cash-flow consultants with a proven history of revenue development. We are Accounts Receivable Consultants who have been providing solutions to cash-flow development for over 25 years and we provide real solutions to the challenges businesses face every day. Christopher Mangan is the President of CJM Billing Solution, Inc. and the author of the Top 10 Billing Secrets and a public speaker with extensive knowledge in the field of effective accounts receivable. He has been training customers and companies for over 25 years. I just didn’t want to take the time to get help. I did not think anyone could really change things. I have done it the same way for years. I though getting outside help was going to be expensive. These reasons hold companies back and most are a result of procrastination. 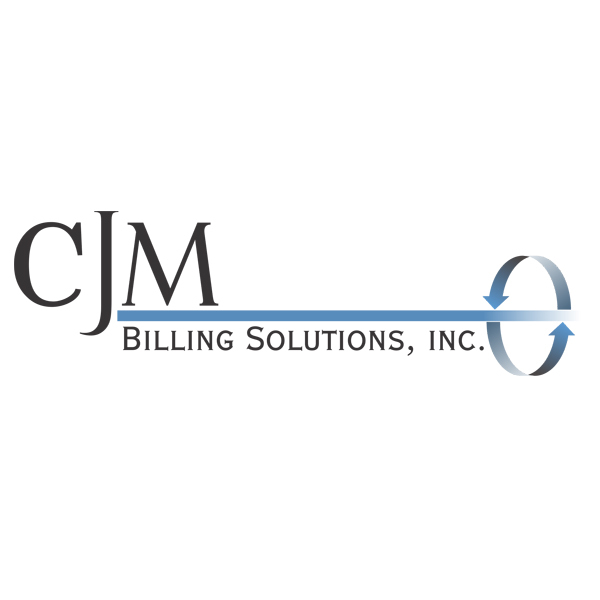 CJM Billing Solutions, Inc. We are the billing and collections experts and have been dealing with non-paying clients since 1989. We have seen first-hand how a great billing process retains more clients and gets the money through the door. You are in business to succeed so stop allowing people to take advantage of you. Pursue all accounts receivable with proven strategies and tact. If you want a thriving business, money has to come in quickly and continually. Nothing impedes revenue more than a billing process that customers ignore. Let’s face it, the problem of non-paying clients is systemic and frustrates employees as well as business owners. It can cause anxiety and stress. The idea that you can do better in your accounts receivable department is vital to actually doing better. In other words, you have to know that improvements can be made and take the proper steps to make it happen. So where should you start? Christopher Mangan is the author of the Top 10 Billing Secrets.